Implementing new technologies can give police department an opportunity to fully engage and educate communities in a dialogue about their expectations for transparency, accountability, and privacy. One example of technology that can accomplish these goals is body-worn cameras, also known simply as “body cameras.” These are cameras worn by police officers that record audio and video of incidents and activities in real time. For over five years now, these cameras have captured incidents ranging from traffic stops to use of force events. In addition, there are resources available to assist law enforcement agencies with implementing body cameras, including a toolkit published by the United States Department of Justice. Grant funding may also be available to help cover costs. The recent officer-involved shootings in Saint Paul and Minneapolis reinforce the need for body cameras to be utilized by all police departments and sheriff’s offices. The former and current interim sheriff’s administration has not implemented a body camera system nor adopted a policy. The Ramsey County Sheriff’s Office is not keeping pace with best practices utilized by other departments, including the Saint Paul and Minneapolis Police Departments. These agencies as well as dozens of departments in the region have already implemented body-worn cameras. 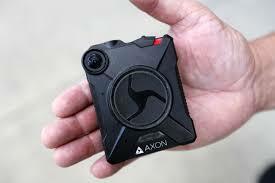 Saint Anthony will have body cameras this fall. During the most recent budget request in August 2018, the current interim sheriff made no request for funding for body cameras. Put simply, by now the Sheriff’s Office should have partnered with police departments and implemented a coordinated and integrated body camera system. Should another Philando Castile type incident occur again, there will be no acceptable excuse for why Ramsey County deputies were not wearing body cameras. Implement body cameras now. Immediately upon taking office, the Sheriff’s Office will form a committee tasked with selecting and implementing a body camera system. To keep costs at a minimum, the Sheriff’s Office will seek grant funds and work closely with the County Board and Finance Department. Partner with police departments to create a county-wide body camera system. The Sheriff’s Office will invite police departments in the county to participate in a coordinated and integrated camera system. Through this, costs will be reduced while every community is afforded the benefits of body cameras. Develop a body camera policy. The Sheriff’s Office will engage citizens, union leaders, and legal experts to achieve consensus on a policy that respects privacy, adheres to legal requirements, and provides transparent access to information so that community trust is furthered. This policy will be posted online.